You know what the great thing about a holiday in Favignana? Welfare, colors and emotions! During your stay at I Pretti R.T.A. , you will find a small oasis of comfort in the privacy of your suite, with everything you want to find balance, inner harmony and deep relaxation. Many are the beaches that you can visit during your stay: Cala Rossa, the most of Favignana rock known beach, is really an offshore pool, as the R.T.A. Cala d'Azur, white sand, and then get to Bue Marino, very special to be excavated from the limestone quarries, natural and unique in the world ... Click here to find the map of all the beaches of Favignana and the photo gallery of the most beautiful beaches! Live an all inclusive holiday in Sicily will be really a show for everyone! Whether a family vacation with children, which up to 5 years I Pretti R.T.A. stay for free, it's a romantic weekend in pairs.... contact us for all information and requirements! Lots of offers, promotions and packages for a 2018 summer vacation in Favignana! A different holiday, a holiday in the beautiful island that will let you know all its beaches, coves, local products, the sea excursions and colors of this land ... you can also visit the other two islands Egadi Marettimo and Levanzo! The day excursion to visit these beautiful islands of fishermen, where he hustle, bustle, no one knows precisely what they are! I Pretti R.T.A. , luxury hotel with 14 suites, including superior, deluxe and exclusive, in the heart of Favignana, for the 2018 Summer offers you the best deals and promotions for the active beach holiday in Sicily! 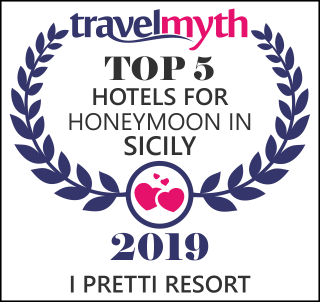 Forget the stress of organizing a trip to Sicily and parts for a beach holiday all inclusive with the best deals of I Pretti R.T.A. ! Choose holidays in Sicily and book your holiday now! You'll find yourself throughout your stay summer 2018, in close contact with nature and the atmosphere of relaxation of a vacation in Sicily in Favignana. Many are the opportunities for a stay on the island, including apartments, houses, villages, hotels and hotels! But I Pretti R.T.A. will really enjoy beautiful days with its panoramic terrace, lounge Florio, the flower garden on the sea ... to feel free to live a dream vacation on the beautiful island of Favignana! Discover the sun, the sea, the hospitality and the atmosphere of Sicily, the Italian island par excellence, home to a rich history and an unspoiled environment.